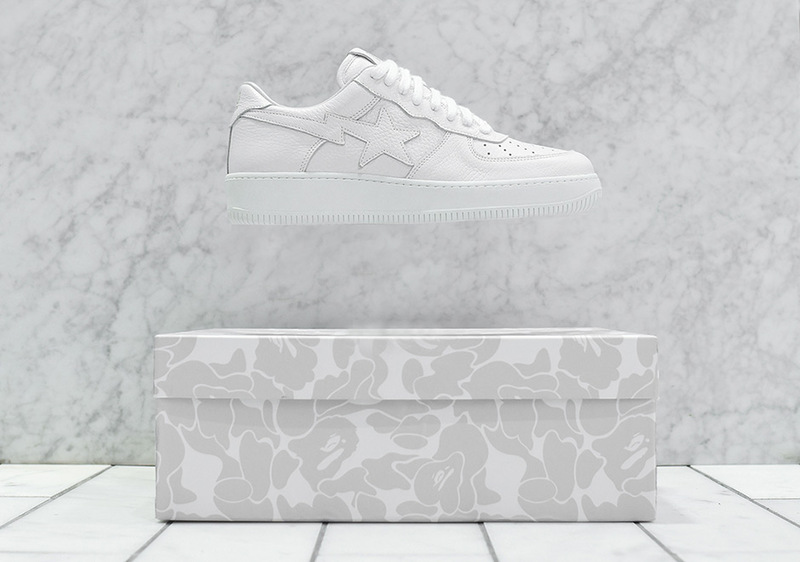 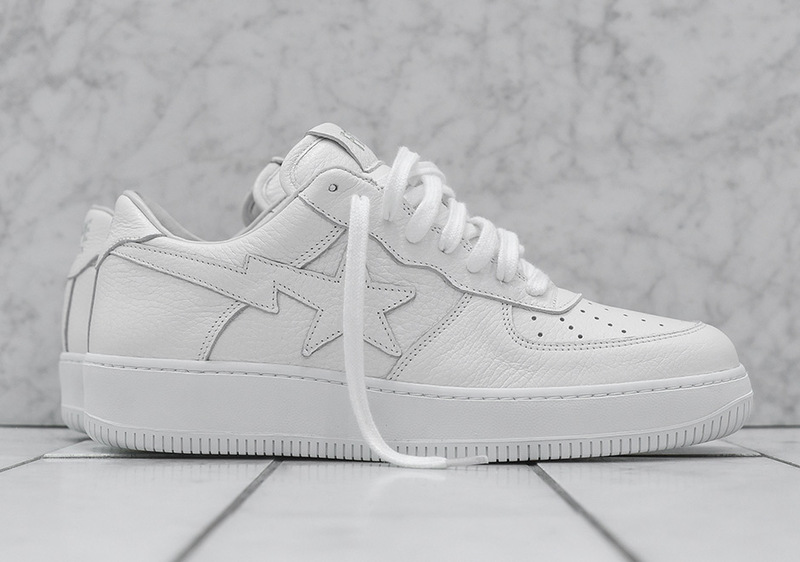 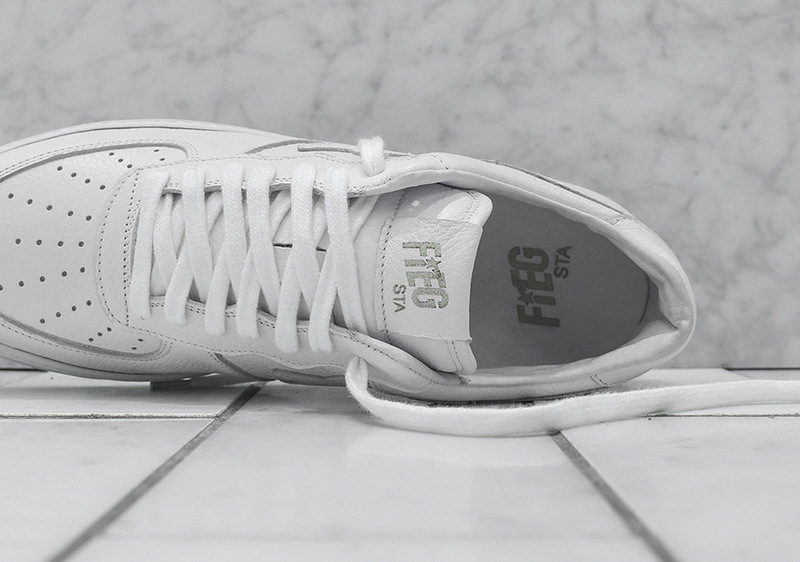 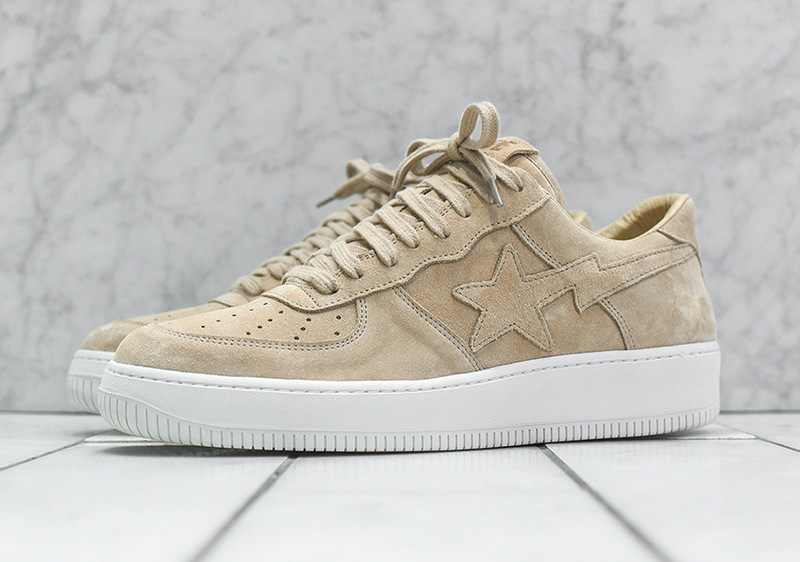 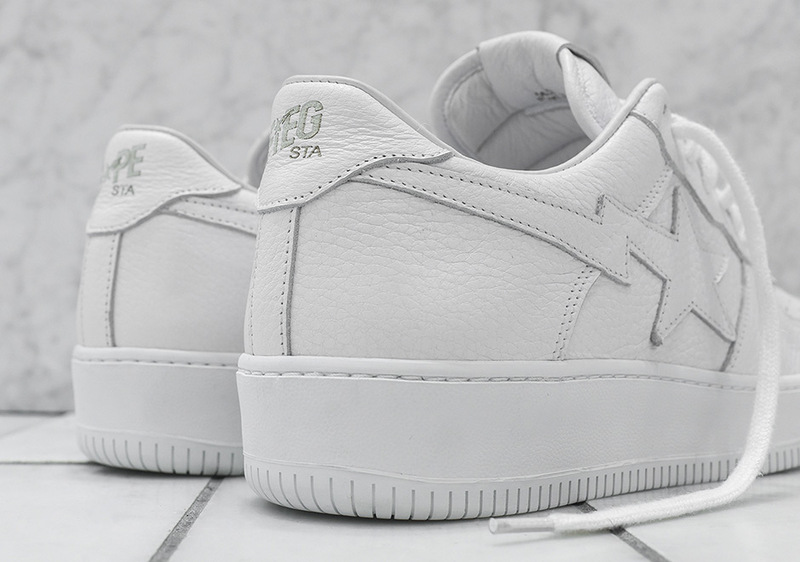 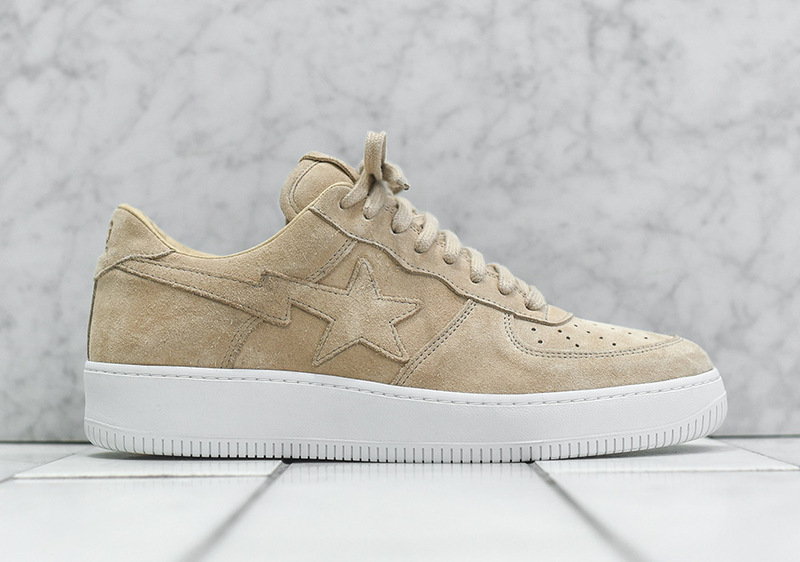 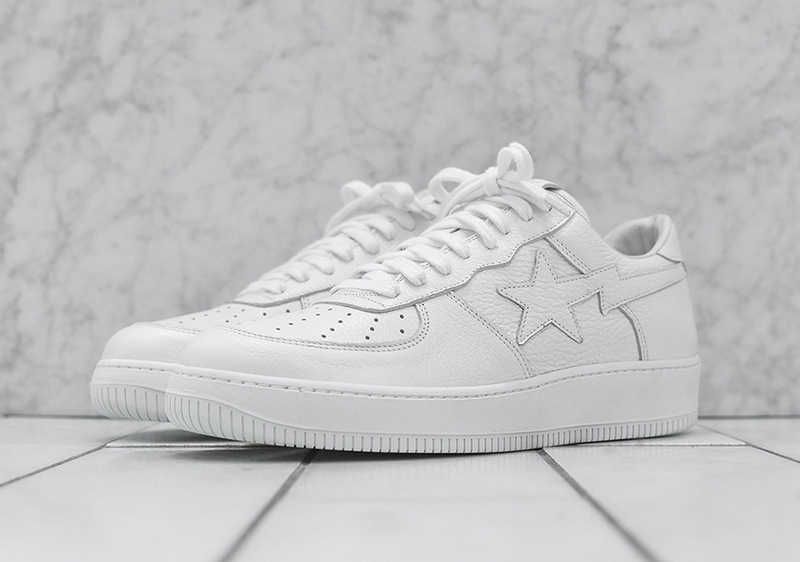 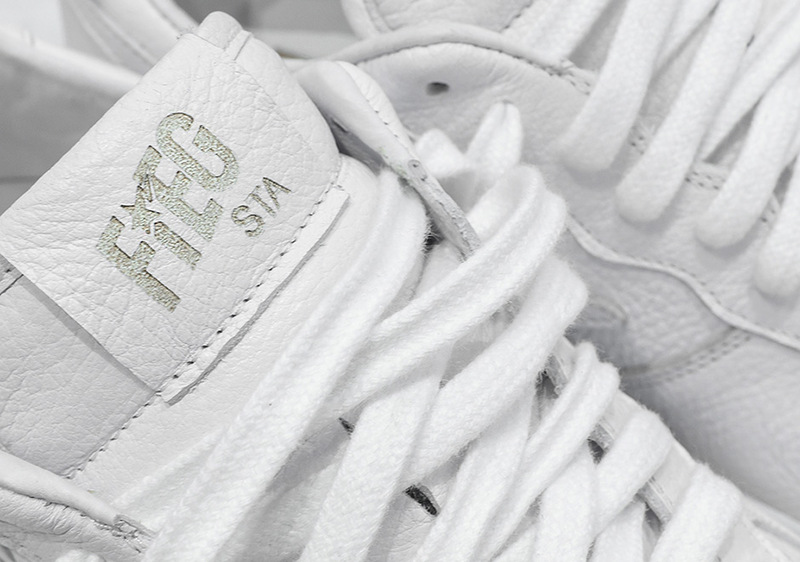 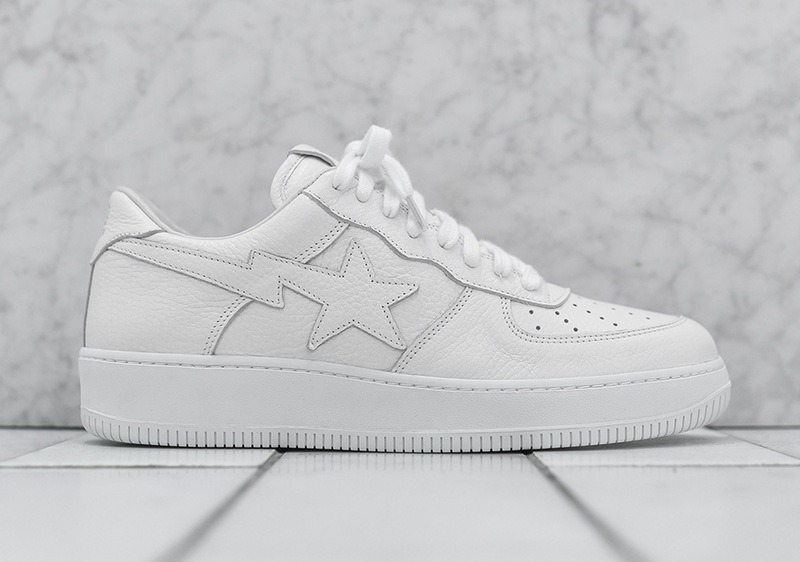 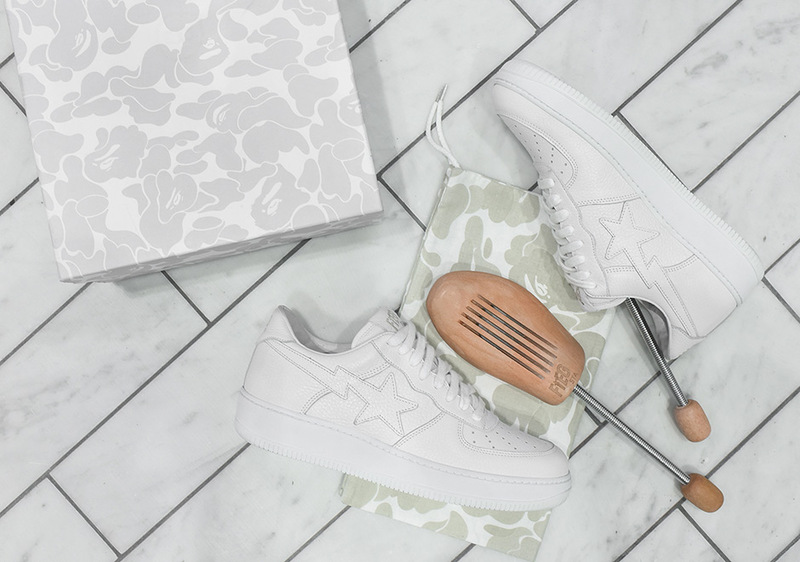 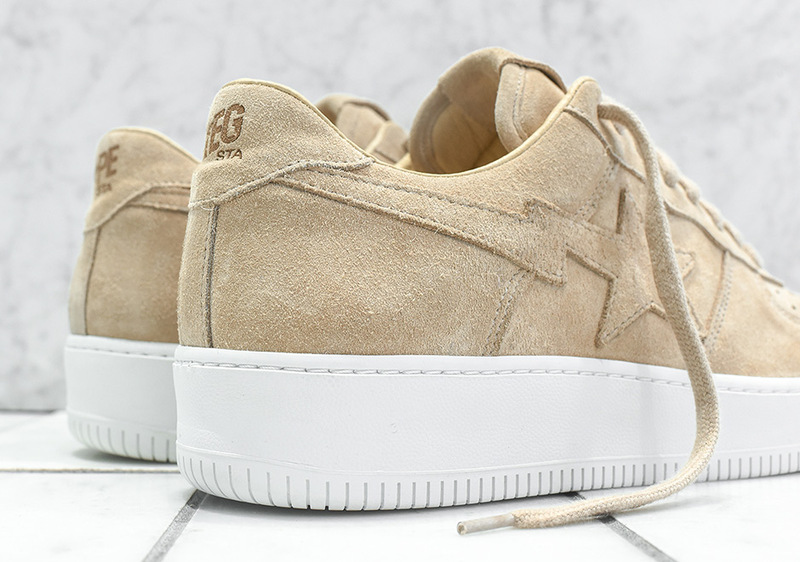 At first glance, the KITH x BAPE “KITH-sta” releases appear to be just like the classic model, an Air Force 1 Low replica with the star-swoosh logo on the side. 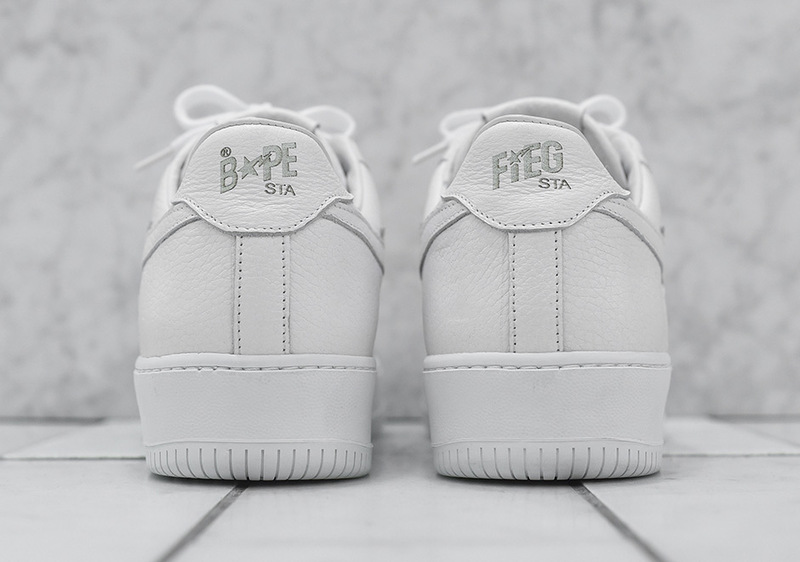 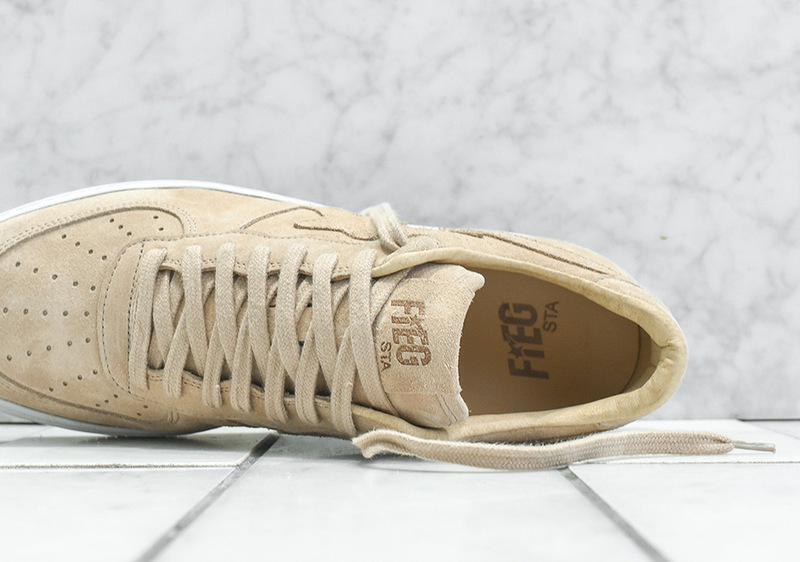 However, these are actually finely crafted in Portugal, with molded rubber soles, leather footbeds, and materials sourced from Italy. 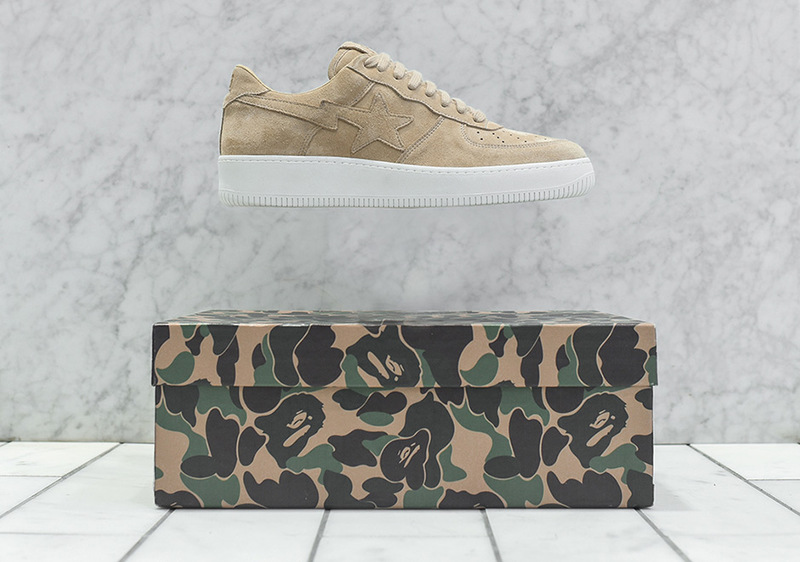 Ronnie Fieg’s interpretations of the once Bapesta, which at one point in the sneaker game was the most sought after shoe on the planet, bring a level of much-needed restraint to the shoe, which is known for its bright colors, camo prints, and patent leathers. 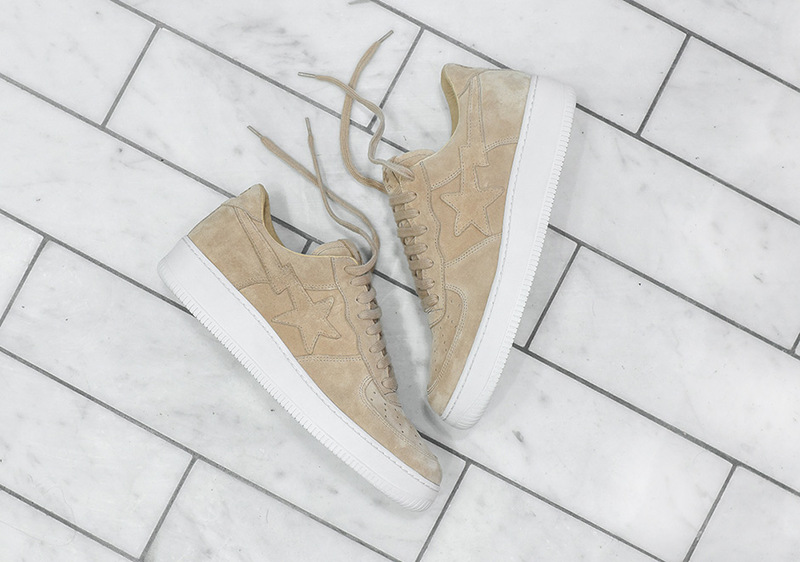 Two distinct colorways of triple-white tumbled leather and a sand suede will be available at $300 a piece exclusively at KITH in-store and online. 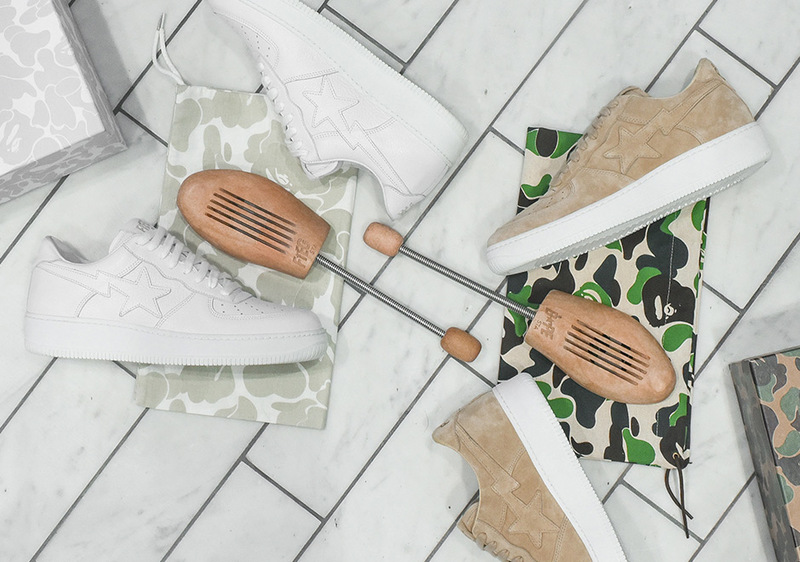 ; both colorways come with special edition packaging, shoe-trees, and dust bags pictured above.